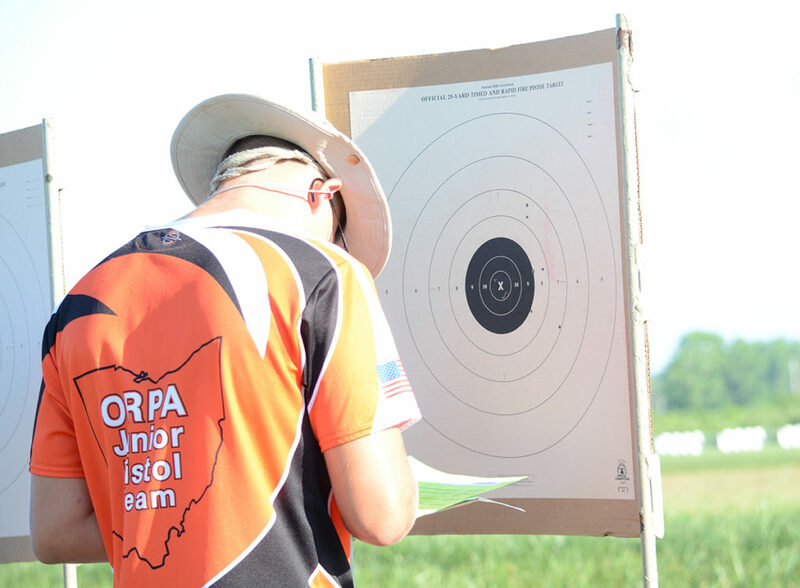 CAMP PERRY, Ohio – To better recognize its remarkable junior pistol competitors, the Civilian Marksmanship Program (CMP) has added specialized awards to the 2017 National Trophy Pistol Matches, fired at the renowned Camp Perry National Guard Training Facility in Ohio. 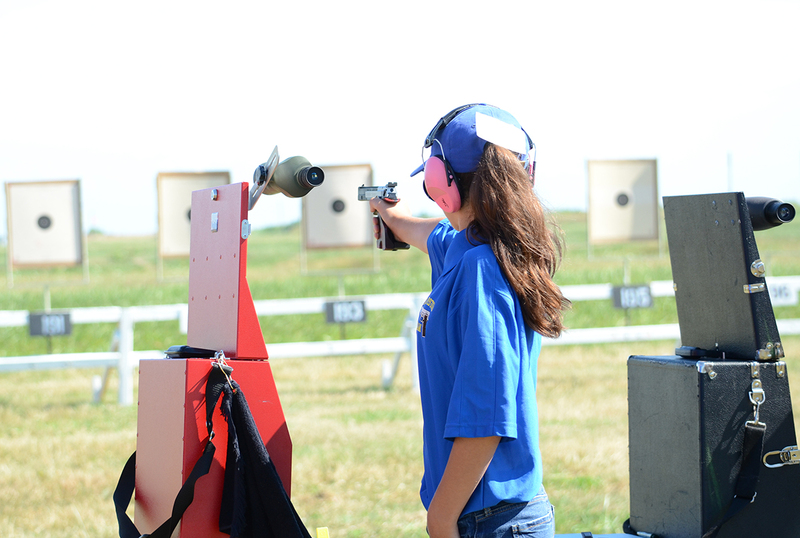 Juniors from around the country travel to the National Trophy Pistol Matches each July to learn and compete on the famous Camp Perry ranges. The Top 3 juniors in the President’s Pistol Match, National Trophy Individual (NTI) Pistol and .22 Pistol EIC matches will be presented individual overall awards. A special aggregate award for the highest combined score in the President’s 100, NTI, .22 Pistol EIC and the Pistol Team Match will also be given to the leading junior competitors, and the Top 3 teams in the Junior Team Trophy Match will also be recognized. New junior pistol awards have been added to the 2017 Nationals to allow more recognition for talented young marksmen. 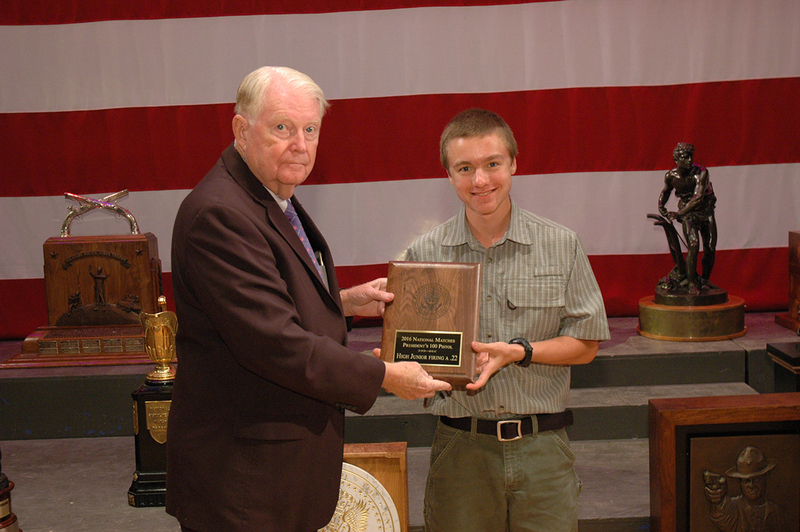 All of the junior awards will be presented during the National Trophy Pistol Awards Ceremony on July 2 at 5 p.m. The ceremony will include a reception beforehand, with winning juniors receiving their earned honors on the Hough Theatre stage – walking the same path as other revered marksmen have done throughout the long history of the National Matches. As an added bonus, all juniors who compete in the CMP National Trophy Pistol Matches will receive an exclusive t-shirt with a design selected especially for 2017. Each junior competing at the 2017 National Pistol Matches will receive a special t-shirt, which includes an exclusive design that will be introduced at the event this summer. Last year, junior attendance at the National Trophy Pistol Matches proved to be one of the best ever recorded – with escalating participation expected in the coming years. The demonstrated dedication of junior competitors and increasing interest in the sport serves as motivation for the CMP to continue its mission of expanding the ways it challenges and commends the marksmanship community. 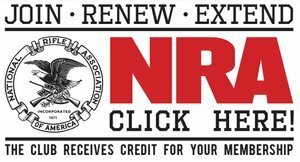 For more information on the National Trophy Pistol Matches, including an in-depth look at each event, visit the Pistol page on the CMP website at http://thecmp.org/competitions/cmp-national-matches/national-pistol-matches/. The 2017 CMP National Trophy Pistol Matches are scheduled for July 1-2 at Camp Perry. The Pistol Matches were introduced in 1904 and include service pistol championship competitions for both elite and up-and-coming marksmen. A Small Arms Firing School, taught by current military pistol team members and qualified CMP instructors, is also conducted during the matches for those new to the sport or wanting to improve his/her skills. For over a century, the Matches have served as the premier rifle and pistol championship series fired during the year.